Premier League Results: Score, Match Analysis and Highlights from the Fixture between Aston Villa vs Manchester City on Monday, March 04, 2013. Includes Video Highlights for U.S. viewers (as available). 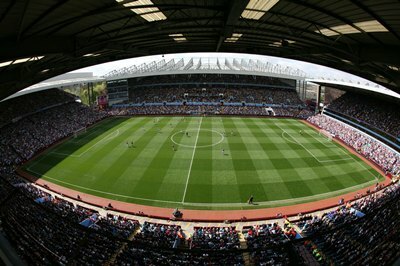 Aston Villa’s young defender Ciaran Clark gave away the only goal in the match when his defensive error let Dzeko knick the ball off of him and send Tevez in with an easy shot. It would be easy to say that Aston Villa could take some positives from the game, but the fact is that they lost, and this could be just one more loss that hurts their chances of getting out of the bottom. Villa did manage 10 shots, but their 1 shot on target was Benteke’s header that was cleared off the line in the 21st minute. The area to really look at for Aston Villa was their defense through the rest of the match. City got off 20 shots, with 8 on target and only 1 goal. It could be said that they were both unlucky and profligate with their chances.